New geologic mapping in the Himalayan mountains of Kashmir between Pakistan and India suggests that the region is ripe for a major earthquake that could endanger the lives of as many as a million people. Scientists have known about the Riasi fault in Indian Kashmir, but it wasn't thought to be as much as a threat as other, more active fault systems. 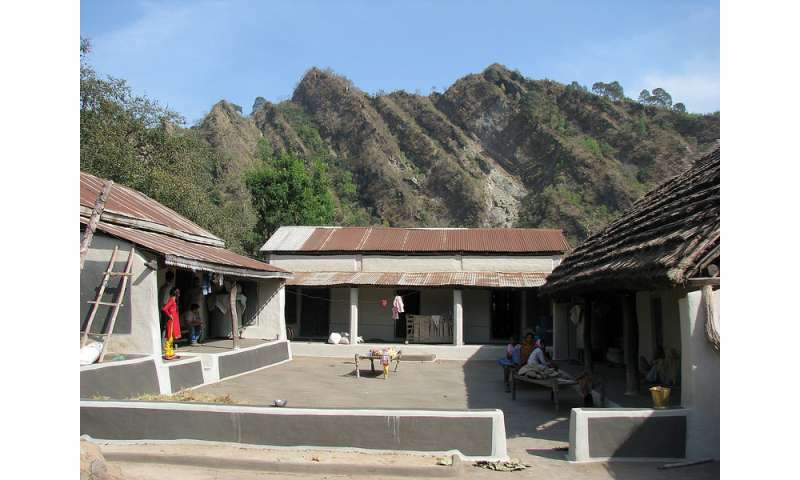 However, following a magnitude 7.6 earthquake in 2005 on the nearby Balakot-Bagh fault in the Pakistan side of Kashmir – which was not considered particularly dangerous because it wasn't on the plate boundary – researchers began scrutinizing other fault systems in the region. What they found is that the Riasi fault has been building up pressure for some time, suggesting that when it does release or "slip," the resulting earthquake may be large – as much as magnitude 8.0 or greater. Results of the new study, which was funded by the National Science Foundation, have been accepted for publication by the Geological Society of America Bulletin, and published online. "What we set out to learn was how much the fault has moved in the last tens of thousands of years, when it moved, and how different segments of the fault move," said Yann Gavillot, lead author on the study who did much of the work as a doctoral student at Oregon State University. "What we found was that the Riasi fault is one of the main active faults in Kashmir, but there is a lack of earthquakes in the more recent geologic record. "The fault hasn't slipped for a long time, which means the potential for a large earthquake is strong. It's not a question of if it's going to happen. It's a matter of when." There is direct evidence of some seismic activity on the fault, where the researchers could see displacement of the Earth where an earthquake lifted one section of the fault five or more meters – possibly about 4,000 years ago. Written records from local monasteries refer to strong ground-shaking over the past several thousand years. But the researchers don't have much evidence as to how frequent major earthquakes occur on the fault, or when it may happen again. "The Riasi fault isn't prominent on hazard maps for earthquake activity, but those maps are usually based more on the history of seismic activity rather than the potential for future events," said Andrew Meigs, a geology professor in OSU's College of Earth, Ocean, and Atmospheric Sciences and co-author on the study. "In actuality, the lack of major earthquakes heightens the likelihood that seismic risk is high." The researchers say 50 percent of the seismic "budget" for the fault can be accounted for with the new information. The budget is determined over geologic time by the movement of the tectonic plates. In that region, the India tectonic plate is being subducted beneath the Asia plate at a rate of 14 millimeters a year; the Riasi fault accounts for half of that but has no records of major earthquakes since about 4,000 years ago, indicating a major slip, and earthquake, is due. "In the last 4,000 years, there has only been one major event on the Riasi fault, so there is considerable slip deficit," Meigs said. "When there is a long gap in earthquakes, they have the potential to be bigger unless earthquakes on other faults release the pressure valve. We haven't seen that. By comparison, there have been about 16 earthquakes in the past 4,000 years in the Cascadia Subduction Zone off the Northwest coast of the United States." Gavillot said a major earthquake at the Riasi fault could have a major impact on Jammu, the Indian capital of the Indian state of Jammu and Kashmir, which has a population of about 1.5 million people. Another 700,000 people live in towns located right on the fault. 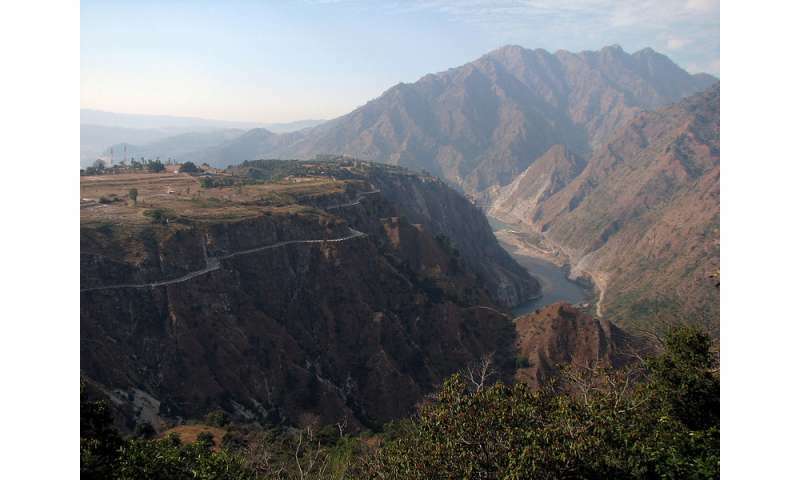 "There are also several dams on the Chenab River near the fault, and a major railroad that goes through or over dozens of tunnels, overpasses and bridges," Gavillot said. "The potential for destruction is much greater than the 2005 earthquake." The 2005 Kashmir earthquake killed about 80,000 people in Pakistan and India.